Boowiggie reusable swim nappies come in a range of bright and fun colours. Swim nappies can also be used for toilet training – they are designed to trap spills. They are fully adjustable, with 4 rows of snaps on each side, allowing you to adjust the nappy to different size settings. No need to purchase multiple swim nappies as our nappies have been designed to grow with your baby and toddler. The outside of the nappy is made from PUL fabric. 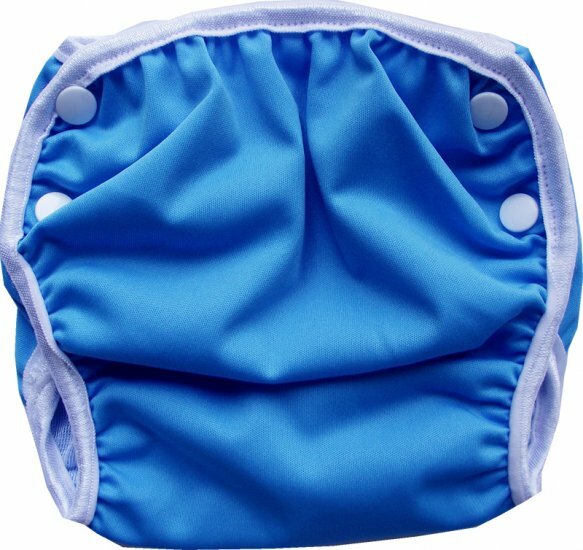 The inside of the nappy is lined with a soft mesh – to catch any solids. Suitable for babies from 4kg to 17kg.